Old Town Bluffton Winter Art Walk! Tags: Music, Old Town Bluffton Winter Art Walk! 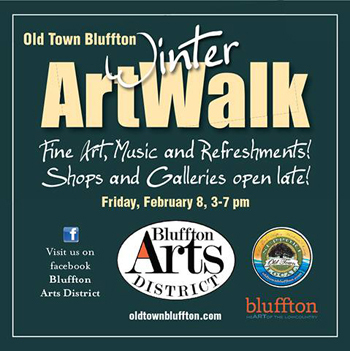 February 8: Old Town Bluffton Winter Art Walk! 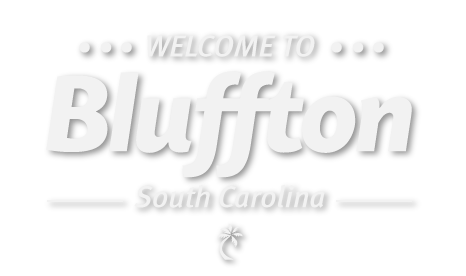 Join the art galleries, restaurants and shops for a special evening in Historic Old Town Bluffton. Shops and galleries will be open late for your enjoyment, 3-7 p.m. Talk to the many local artists; see what’s new in your favorite shops; enjoy Southern Hospitality at its best; and complete your night at one of the many fine restaurants in the Historic District. Plan ahead and enjoy an evening in our Historic Cultural District! http://www.oldtownbluffton.com/index.php?page=merchant-calendar.